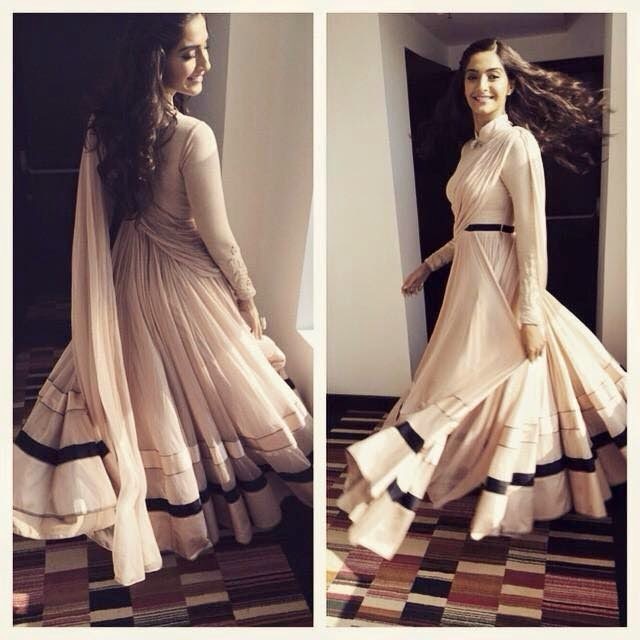 Sonam Kapoor was in Bangalore for promotions of Dolly Ki Doli. 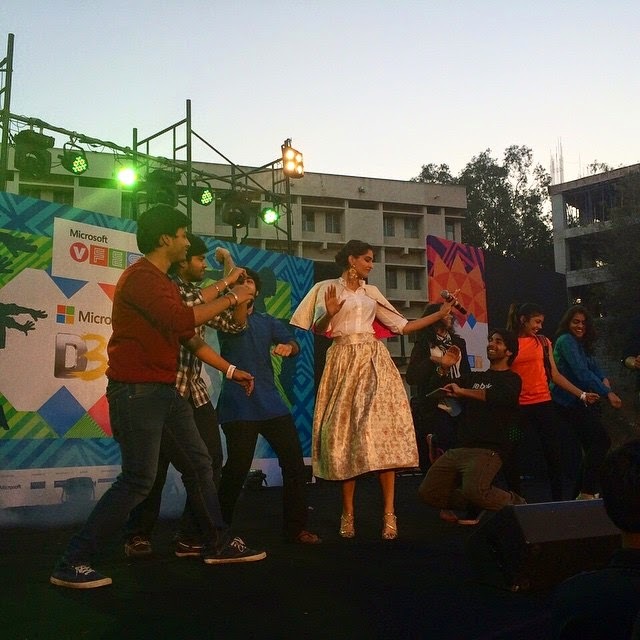 As she mentioned that she is working hard for the promotions here, she looked fresh and beautiful during her Bangalore leg of promotions and enjoyed to the fullest. 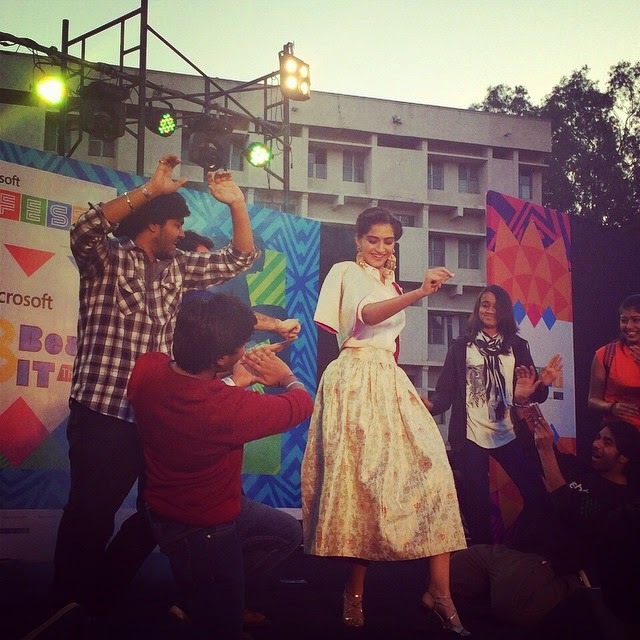 As she mentioned, "Thank you for the amazing reception bangeluru! 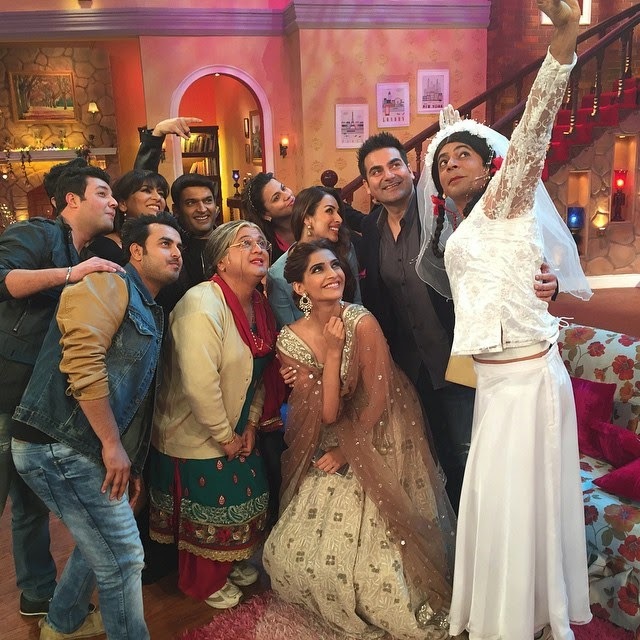 Please watch #DollyKiDoli on the 23rd of jan!" Next stop is 'Comedy Nights with Kapil' and of course, its has to be a laughter riot at the end of it. Our Dolly in House of Kotwara and Sunita Kapoor jewelry for the show.